The CCFL(Cold Cathode Fluorescent Lamp) is a light source classified as an electronic component. The CCFL in simplest terms is a gas-discharge light source, which produces its output from a stimulated phosphor coating inside the glass lamp envelope. 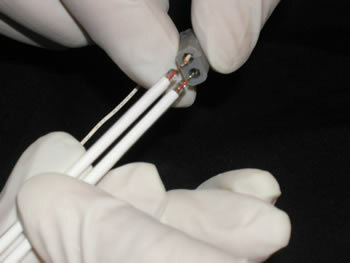 A CCFL can be described as a transducer converting electrical energy into light energy. 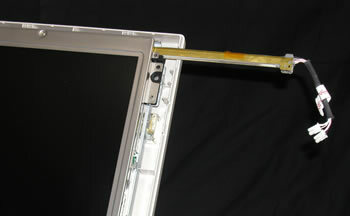 It is not a good idea to pull your old lamp out from your laptop screen, measure it and wait for new lamp to arrive. So we had developed a very effective method by measuring the active area of screen, horizontally as shown on photo below. Then you can do that all at once. Measure the active area width (View Area) from left to right (Horizontally), Add/Deduct between 1-3mm bases on our part number: For Example: If your measurement is 278mm for 13.3 inch laptop screen; you should use 275mm (Our part# MS20275). If your measurement is 308mm for 15 inch laptop screen, You should used 305mm ( Our Part# MS20305) The rule of thumb would be always select a slightly shorter the your original lamp based on our part number. Note: This method is base on CCFL is mounted either on the top or bottom (Horizontally) which is 99% of laptop screen Backlight lamp are mounted, However, some of 13.3” screen’s Backlight were mounted vertically, Then you need to measure active area from top to bottom. 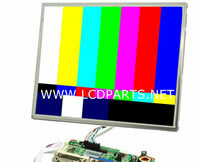 LCD Backlight (CCFL Lamps) are hold on inside of Reflector as picture shown at below. There are Silicone Rubber Cap on both ends of CCFL Lamps. The measurement should be from glass to glass( Shown on Photo below) plus the length of one of Silicon Rubber Cap. For Example: The measurement from glass to glass is 310mm, your Rubber Cap measurement is 5mm (Only Measure one of cap), Then you correct length should be should plus 4-5mm each end. Let use 5mm for example. So, the correct length should be 315mm+5mm = 320mm. 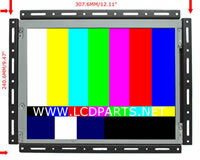 Selected the length slightly shorter then your measurement base on our part number.